Essence of Sorrow is a melodic power metal band from Finland created by Jani Stefanovic (Divinefire). Their sound can be compared to Evergrey and Kamelot with robust guitars and emphatic keyboards. 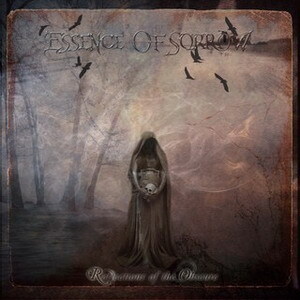 Essence of Sorrow, initially a solo project, began to take shape during the spring of 2005 in Gothenburg, Sweden. Founded by Jani Stefanovic (Divinefire, ex Renascent, etc.) he began to compose intricate music that expressed various feelings through strong melancholic melodies. As time passed by, Jani began to expand his vision by transforming his solo project into a full piece band. After inviting well known musicians such as Mats Leven (ex Yngwie Malmsteen), and Mikko Härkin (ex. Sonata Arctica), he was able to invite more talented artists. Proceeding their recording sessions a permanent line up was assembled to reveal the art of Essence of Sorrow. Rivel Records will be releasing their debut album, entitled: "Reflections of the Obscure", 21 dec 2006 Japan & 10th Jan 2007 across Europe & States.